We at M2 want you to enjoy this drink right. Whisky has a set of rules and requires etiquette that you must follow so you can experience this drink to the best of its quality. We’ve organised a step-by-step guide for the beginner whisky drinker so that they can experience all that a good whisky has to offer. Whisky is steeped in tradition – an everlasting timelessness of the blue-blooded male. That gallant, copper-coloured ‘water of vitality’ has been celebrated and admired for hundreds of years. Since its creation in 1494, whisky has grown to become a go-to spirit for the sophisticated palate. This month, on the 19th of May – World whisky Day – this legendary beverage is celebrated. This day is an opportunity to explore the myriad styles, rules, etiquette, history and fascination that centuries of crafting and perfecting have resulted in. It’s celebrated at Glengarry Wines in Auckland at 2-5pm where one can try up to 80 different whiskys. First of all though – for all you non- whisky drinkers – I ask: what is this whisky thing, really? Well, it starts with the grain that is fermented and then distilled which marries together a plethora of musky tones. Then the best bit… The combining of 40 percent pure alcohol by volume. The grain that goes in the whisky (also known as mah bill), the barrel type, aging time and distillation all contribute to a beautiful spirit. We at M2 want you to enjoy this drink right, and for you to take something from this years World Whisky Day. Whisky has a set of rules and requires etiquette that you must follow so you can experience this drink to the best of its quality. We’ve organised a step-by-step guide for the beginner whisky drinker so that they can experience all that a good whisky has to offer. It’s really simple to distinguish between the different types of whisky’s that are offered. 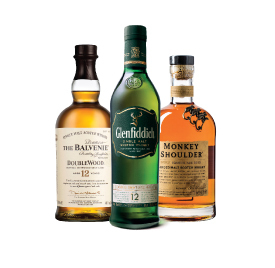 For the beginner drinker, we would like to highlight three well-known types of whisky. Firstly there’s scotch which is crafted from the motherland in bonny Scotland – you can hear it in the name. If it’s not made in Scotland, it ain’t scotch. It is made from fermented grain mash and – to qualify for the title – it must be made from malted barley, and nothing more than barley, water and yeast. It must be treated in aged oak barrels for no less than three years, and must have an alcohol-by-volume content of 94.8 percent. Next, comes bourbon which must be made of at least 51 percent corn. The fermentation process exhibits mixing some mash from an older already-fermenting batch, a process known as sour mash. Bourbon is Scotch’s American brother – it ain’t bourbon unless it’s made in the States. The spirit must be distilled to no more than 80% alcohol (160 proof) and be no more than 62.5% when put into casks for aging in charred oak barrels. Lastly, we have Irish whiskey which needs to be (quite obviously) made in the Republic of Ireland or in Northern Ireland. Just as its Scottish relative, Irish whiskey must have an 94.8 alcohol-by-volume. It must sit in a yeast-fermented grain mash and must be aged for at least three years in wooden casks. Whisky is one of the most popular drinks in the world. The European influence of drinking the ‘water of vitality’ is huge. But there’s rules a drinker needs to follow to get the most out of the favorite drop, like the various styles – or types (which we’ve already talked about) – the alcohol levels, the label, etc. A good whisky drinker must have a reliable vessel. Basically, you can get as whacky (or as classy) as you want with these. The classy whisky drinker serves whisky out of a glass as other materials (such as plastic) can taint the flavor. The ‘ whisky drinking glass’ – also known as the Old Fashioned or Lowball glass – is a small tumbler that holds approximately six to ten ounces of liquid. Other specialty glasses are tulip-shaped and hold the vapours to allow a ‘nose’ with the drinking experience. The actual drinking of the whisky takes skill. There’s a technique to it. The technique will release and identify the flavours, if done right. The first sniff of a whisky will be the most important. Angle the nose into the glass, with the lips slightly parted and breathe in through the nostrils slowly. The first whiff might be quite spicy and will certainly clear the sinuses a bit. This is called the First Nose. The second, third or even fourth breath in – to which the drinker can take harsher breaths – are when the purity of the flavours are omitted. Take a small roll of liquid in your mouth and swirl it on the tongue, noting whatever subtle oaky tones there are. Vanilla? Toffee? A hint of oak? Take your time. What can you taste on your palate? How long does the single malt linger? The bursts of flavour can be short, or exceptionally long depending on the quality of the whisky. When you hear others describe whisky’s as ‘complex’ or ‘mystical’, they’re not trying to sound wanky or snobby at all. In fact, they’re talking about the structure of the whisky. The structure is the different notes one would experience, the way they interact and how they complement each other. First released and celebrated in 2005, Monkey Shoulder has a huge following amongst whisky lovers and spirit-drinkers alike. The matured whisky is stored in bourbon casks for a smoother, crisper taste. The famous malt was created as the world’s first ‘triple’ malt, containing only single malts from three of Speyside’s finest distilleries. Monkey Shoulder retails in most liquor stores for NZD$60. ​In the summer of 1886, with his seven sons and two daughters, William Grant set out to fulfil his dream of creating the ‘best dram in the valley’. After a year of nurturing this vision, William finished building his distillery and gave the drink he created the name, Glenfiddich, Gaelic for Valley of the Deer. Glenfiddich is one of the few single malt distilleries to remain entirely family owned and is now the world’s most awarded single malt Scotch Whisky. Glenfiddich 12yo retails in stores for $65. Founded in 1892 by William J. Grant, the Balvenie distillery was built strong on the foundations of single-malts. 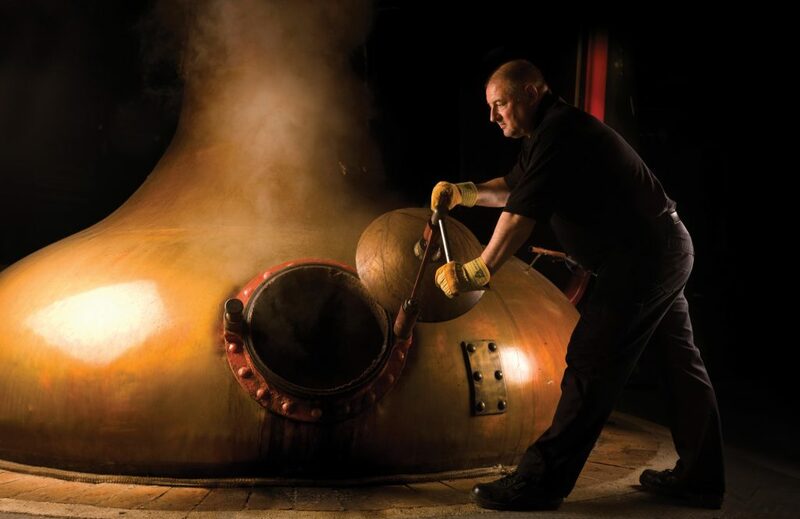 The process of whisky technique is crafted in this drink, maintaining the Five Rare Crafts – it grows its own barley, uses traditional floor maltings and keeps both a coppersmith and a team of coopers on site. The Balvenie 12yo retails in stores for about $100.